Everything magically resolves itself because it’s drama! At the same time, Kayoon writes down that their katsu only costs $8.50. So, she writes down that number. Heejung screams in pain and Hyunjoon rushes in. He tells her to come with him to Hawaii where a patient was able to get cured. However, she refuses and cries that she does not want to leave Minwoo. Ki-Chan finally tells Soon-Im who goes to Heejung’s room. Soon-Im cries that there’s a cure for cancer so they can help Heejung. She promises to help as Heejung cries about being terrified. The parents call Hyunjoon over. Hyunjoon states that he no longer needs revenge and he found a doctor who can treat the illness in Hawaii. Daeho grabs Hyunjoon’s hands and begs for help. 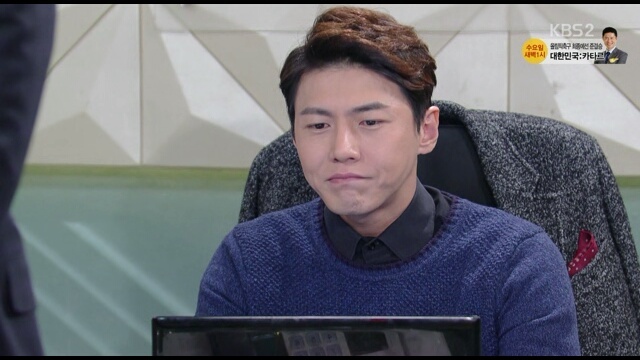 The CEO calls Dalja who brings Minwoo over… Ah this freaking witch of a mother-in-law. He promises her compensation for raising his grandson. The CEO tells her to go on a trip with Minwoo so that they can freak Heejung out in revenge. Luckily, the CEO is cruel. He got Dalja a round-trip ticket but only a one way for Minwoo… His minions explain to Dalja that Minwoo should go to a boarding school in London. Dalja frowns and lies that Minwoo cannot use a plane’s bathroom and runs away to Jingook. They also meet Hyunjoon who tells them about Heejung’s condition. Minwoo meets Heejung as Dalja watches from the side…Jingook tells Dalja to vent her frustration on Heejung and leave Minwoo alone, to stop being a grandmother who kidnaps her own child. Dalja snaps that she only did what Heejung deserves. But then Jingook sees a little bit of Heejung’s skin condition. They realize that Heejung has a fatal disease and Dalja cries that Heejung should have at least lived well. Jingook has his time with Heejung. He tells her that he does not hate her. To him, Minwoo is like a misdelivered present… All of the happiness Minwoo gave him was supposed to be Hyunjoon’s and Jingook is thankful for what he got. After Jingook leaves, Heejung cries that she’s willing to do anything…Minwoo had gone to the airport to meet Heejung. She wants to live.Then the disjointed character development continues. Hyunjoon gets the USB from Kayoon saying he’s going to stop his father. He goes to tell his father that he is stepping down and giving his position to Jingook as Jingook will raise Minwoo. The CEO replies that he won’t allow it. Hyunjoon answers that he can just play the USB at the investor meeting… The CEO backs down. Hyunjoon tells Jingook everything including that they are leaving Minwoo with him since they are going to Hawaii for Heejung’s treatment. 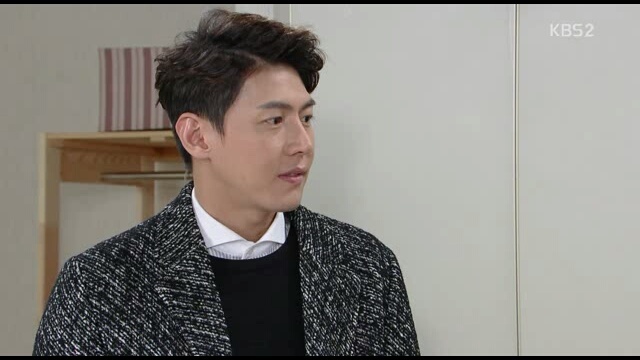 Hyunjoon thanks Jingook for being such a nice guy. Then it’s only one month later but it’s the wedding day on which Kayoon works in the kitchen to help with meal preparation while kitchen brings the delivery… And Jingook reports to the CEO. Jingook has not changed a bit as he complains about all of the work before declaring that he changed the sauce back to Kayoon’s sauce for their restaurant. He also snaps that the CEO should attend the wedding so he can see his son, daughter-in-law and grandson. 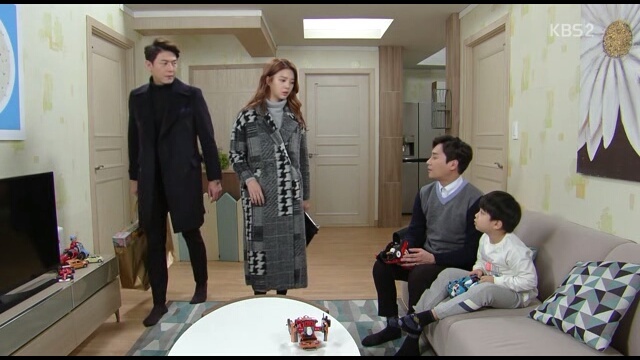 Heejung and Hyunjoon also drop by right after Ki-Chan stands stunned at the sight of Kayoon all dressed up! Pretty music and a dazed Ki-Chan later, Kayoon and Heejung bond happily. Kayoon thanks Heejung for returning alive. Then the wedding occurs and the series ends with Nari ending up with Kayoon’s bouquet. C+/B-! This series went from having some promise to bring completely lukewarm and only surviving due to viewers being creatures of habit to turning into a really bad makjang throw your hands in the air failure. There were several problems but I will just highlight a few of the main ones. First, the main couple lacked chemistry and the writing never managed to really make up for that lack… I really wanted to root for Kayoon and Ki-Chan. They were both really sweet and sincere and the odds were always stacked against them. But, I never fell in love with the couple and a little bit of feeling was always erased a couple episodes later by apathy. What should have been an intense love triangle/square sputtered out before anyone finished placing their bets! Finally, kind of similar to the previous point about identity crisis but the drama failed to stick to and develop its main storyline. In fact, I’m not sure what it’s main storyline is… Was it the love triangle/square? If so, which one? Heejung/Hyunjoon/Kayoon/Ki-Chan? Or Jung-Eun/Jingook /Heejung? Or was it more of a family drama around the developments of how two friends became enemies and then learned to become friends again? The drama never clarified or spent enough time to let us know. Instead, it began to build tons of little sand castle subplots and then ran away. So, I don’t feel like discussing this drama anymore as it was really a disappointment. Instead, I suggest that you join me in trying out the drama that replaces this one – Heaven’s Promise aka The Promise. First recap to post tomorrow. For me, this will be my last trial of KBS daily dramas before I give up and move on to dailies from other stations. Ki-Chan wakes up and the drama goes off the rails. Hyunjoon goes in to find Heejung even unable to button up her own shirt. He seems to feel something as the music turns light. Then Hyunjoon gets called into the office where the CEO demands to know where Heejung is. Hyunjoon explains how Heejung gave the USB to Kayoon. 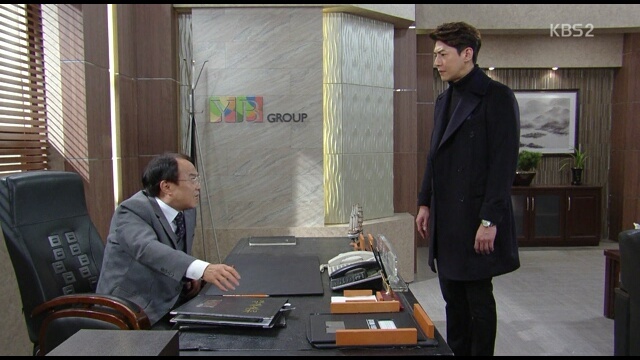 The CEO orders that Hyunjoon get the files from Kayoon. Kayoon has some good news as she is told that their restaurant got the top katsu in Seoul award. And, home shopping agreed to show their product! Daeho then happily visits Mansoo to note how Ki-Chan almost died twice because of Kayoon. Mansoo grumps that it started with Heejung and Daeho concedes. Kayoon also notes that YB Foods has decided to use a different sauce so the families are no longer enemies. 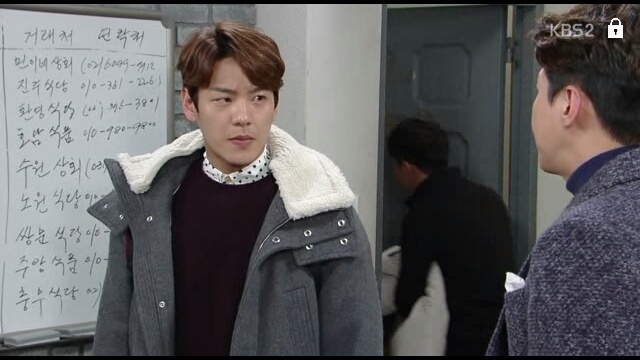 Daeho asks if he’s going to become in laws with Mansoo who glares in response. At the same, Nari is pissed off that she has to live alone since Dongsook is getting married. Nari tells her mom to live happily after abandoning her and Young-Tae tries to explain that she’s just lonely. 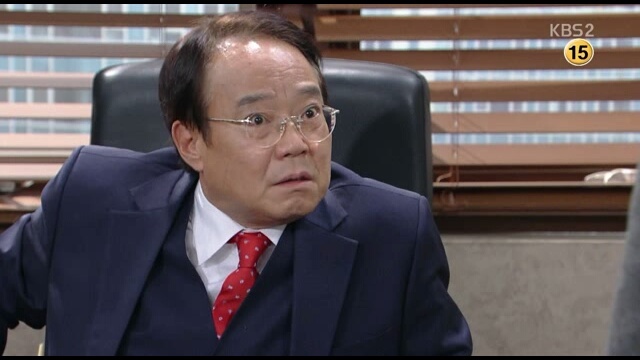 Dongsook sighs and snaps at Young-Tae to do something about Nari if he’s so concerned. So, he turns with his lips pursed but she slaps them. Hyunjoon brings Heejung’s stuff home to find Minwoo in a mood. Minwoo cries that his stomach hurts and wants his father. 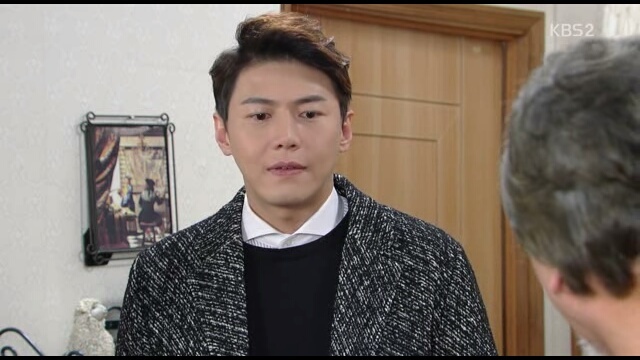 Hyunjoon relents and calls Jingook who runs right over. Jingook calms Minwoo down and asks Hyunjoon if he can’t keep it a secret that he’s Minwoo’s biological father until Minwoo knows that Santa is fake or goes through puberty. Hyunjoon pauses and then asks Jingook to take care of Minwoo for a little bit. Meanwhile Kayoon and Ki-Chan rematch the episode on her restaurant and Kayoon asks Ki-Chan to give her the ring. They do with romantic emotional music. After Kayoon leaves Ki-Chan for a break, she runs into Hyunjoon who explains that Heejung has also been hospitalized. She goes to her room but does not go in as she hears Heejung screaming in pain. Hyunjoon explains that he heard she might not live the full year for his revenge and stopped. We turn into some kind of melodrama. Sad music plays as Kayoon says in this fake voice that the most important thing to Heejung is Hyunjoon because she loves him. Hyunjoon goes back to a beautifully sleeping Heejung. The next day, Dalja is pissed off that Jingook seems to do whatever Hyunjoon wants. She demands to know what hospital Ki-Chan is in… While, Kayoon tells Ki-Chan about Heejung. Jingook brings Minwoo to the hospital and Hyunjoon suggests that Heejung sees him. He wheels her out and Kayoon plays with Minwoo so that Heejung can see Minwoo playing happily. Kayoon and Heejung talk together afterwards and Heejung asks Kayoon’s permission for leaving Ki-Chan as Minwoo’s legal guardian. She tells Kayoon that they can decide between Jingook and Hyunjoon. Then Minwoo runs into Hyunjoon who tells Minwoo that Heejung went on a business trip to London. Dalja charges the bank but finds the hospital room empty of everyone but Daeho and Soon-Im. Soon-Im yells at them about Minwoo’s true father but he just yells back that Dalja needs to stop lying. So, Dalja leaves determined to tell Hyunjoon’s father. Next episode is the last one! Buckle up as we rush to the finish line of this ok-daily turned into makjang! Hyunjoon tells Heejung who falls on her bed in shock and fear. At the same time, Mansoo and the family hear from the police about the attempted robbery. They rush to the hospital where it’s a cast reunion. The police ask to investigate the restaurant where the officer finds it weird that nothing was stolen. 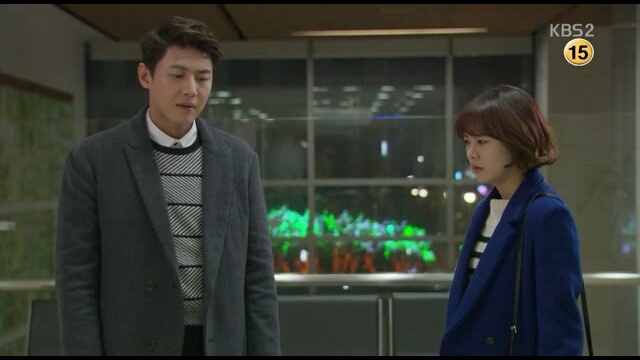 Kayoon tells Hyunjoon who accompanied her about the fallback USB. 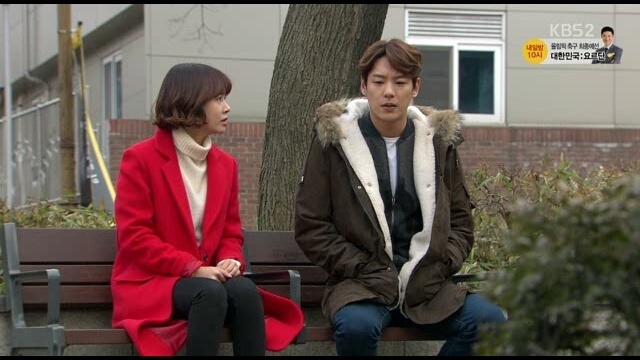 Kayoon tells Hyunjoon that Ki-Chan better be okay or she’s going to hand it over to the police. Back at the hospital, Mansoo finally opens up to Daeho. He explains that the day that he hung up on Daeho who was requesting settlement money… It was the day that his son had died and he had been at the funeral. Mansoo adds that Daeho has already gone through his share of bad luck so Ki-Chan will get better. The next day, the power play continues. Both Heejung and Hyunjoon pretend not to know that the other is scheming. Then Hyunjoon goes to the police where they are investigating Heejung and lies that he had no idea Heejung would steal Kayoon’s sauce. Heejung gasps ay the betrayal and the officer plays the recording of Jindo accusing Hyunjoon of being the mastermind. They go to the hall where they accuse each other of lying and betraying. Heejung notes that she just wanted him to be sincere to Minwoo. Hyunjoon responds that all she had to do was tell him the truth… She instigated all of this. He sighs that he’s sick of her scheming and then walks off…after he notes that they decided to use a new sauce so the sauce stealing issue will go away. 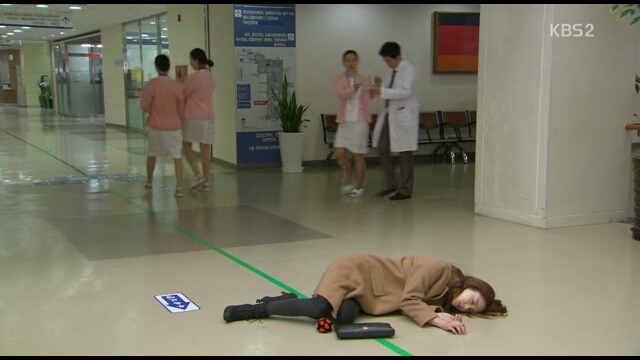 Heejung goes to check on Ki-Chan who is still unconscious but alive. She walks off to work but has issues breathing and falls unconscious. When she’s awake, the doctor notes that she needs further examination to diagnose why she has these issues such as her hands bloating and being unable to grab anything. Meanwhile Kayoon goes to work and it’s time for the restaurant to be filmed. Kayoon tries her best to serve all of the customers and Heejung goes in for further exams…but Ki-Chan does not wake up. Soon-Im and Kayoon take turns watching out for him and crying. Time to hear how the writer is going to resolve the Heejung v. everyone plot! She has a rare illness where her body is fighting itself as a result of stress. The issues that she has with her fingers will spread across her body…He advises that she avoid anything stressful. So she quits her job. Jingook goes home and finally tells Dalja the truth about Minwoo. Dalja expectedly freaks out and sobs on the floor. Then she throws on a coat to go beat up Heejung. 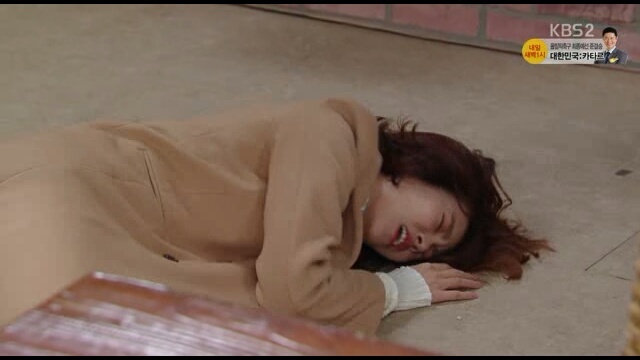 Heejung just takes it but then falls unconscious. However, Dalja just assumes Heejung is just pretending and leaves after venting her frustration. Hyunjoon ends up finding her a little later. Time for some angst! Kayoon remembers the rings that Ki-Chan had prepared. She runs back to the bench and by the luck of drama fate, no one took the obvious red jewelry box from the bench. She opens it up to see what looks like wedding rings and goes to put one on the unconscious Ki-Chan. So, I was wrong. I thought that the series would span around 120 episodes but it looks like it will end with 102 episodes. This explains why the writer is literally dashing towards the finish line. Since there are too many issues involved with the feud between Ki-Chan’s family and Kayoon’s family, she pulls the he almost dies for the girl and Heejung gets a rare almost incurable illness. Resorting to obvious drama cliches is quite disappointing. Then again, several arcs lacked the engrossing storylines and acting I had hoped for. Is it too much to ask that a daily drama keeps its audience engrossed? I mean the 50 episode dramas such as My Daughter is Geum Sa Wol manages and they are twice as long in episode time, so you would think a daily could do the same… Or is it KBS? Time to return to Honey Pot and hope that it also does not fall stagnant! We’re nearing the 100’s so that means Heejung has to start her final scheme and Ki-Chan needs to get hurt because of Heejung again. 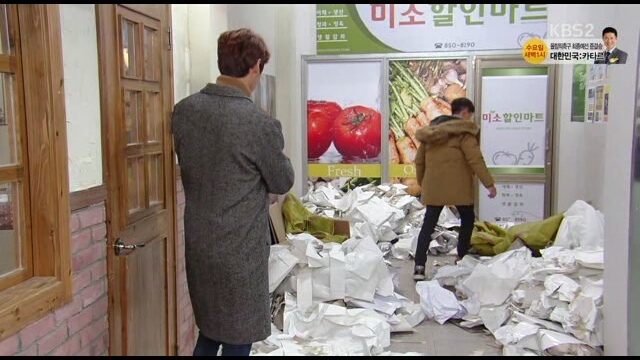 Meanwhile Jung-Eun and Jingook go off to war with Ki-Chan’s pictures of the garbage in front of Kayoon’s cafe. 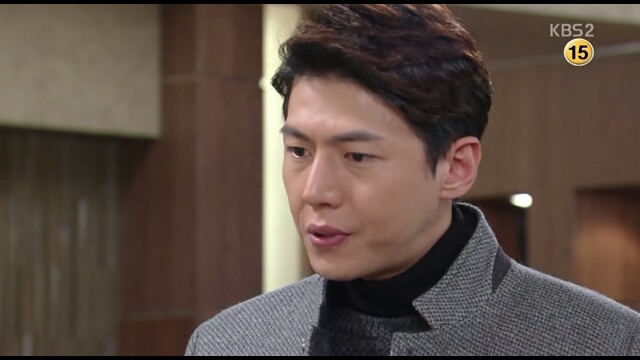 ^^ They start a cyber attack and Hyunjoon immediately calls Kayoon to accuse her of being behind the posts. She does not deny it but rather warns him to keep things civil or she won’t stay quiet as well. Hyunjoon offers to switch their sauce to a Japanese sauce and approaches the CEO about it. However, the CEO refuses to pay the royalty fees of 0.05% or $300,000. Hyunjoon pretends that he’s trying to find another method to save his wife from going to jail. However, the CEO is not convinced. At the same time, Dongsook decides that she cannot wait any longer. She tells Mansoo that she’s going to move in since she has no other place to go. Kayoon and Jingook approve. Dongsook then goes to Grandmama who approves but notes that since she’s Mansoo’s wife’s mother…She will move out. Dongsook asks her to stay but Grandmama refuses. So, Dongsook goes to tell Mansoo what Grandmama said. Mansoo replies by noting that he refuses to marry if that would mean Grandmama would move out since she’s like a mother to him. 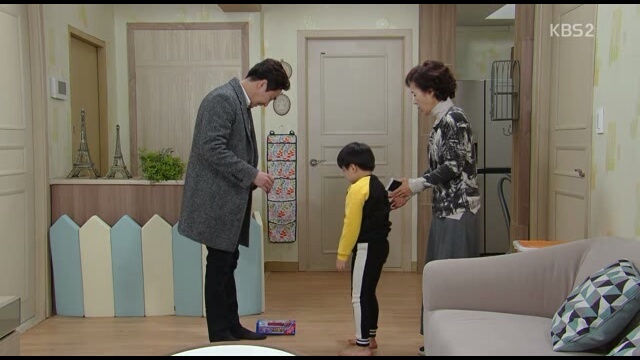 Dongsook then goes back to ask Grandmama to agree to live with them, if not as a mother-in-law than as her own mother. Dongsok notes that she knows she cannot ever replace Kayoon’s biological mother but she would be grateful if Grandmama would agree. Then she falls into tears thinking about her own mother and Grandmama relents. Later, Jingook and Jung-Eun go back home but Jingook also begins to sob when he cannot bring himself to tell Dalja the truth about Minwoo. Ki-Chan to the rescue! He hears from Young-Tae that a food program requested to film Kayoon’s restaurant before going to Home Shopping. There, the representative tells Kayoon that he’s not sure if he can promise a slot to Kayoon. But Ki-Chan interrupts to note that Kayoon’s katsu can become more famous through the food program and the representative agrees that he would be able to get her a slot on their program if she comes out on the program. Then Heejung deletes her recording files in front of Hyunjoon. She asks him if he would protect her if she gets investigated. Hyunjoon tells her that he will protect her so that she would be able to avoid jail by paying a fine. 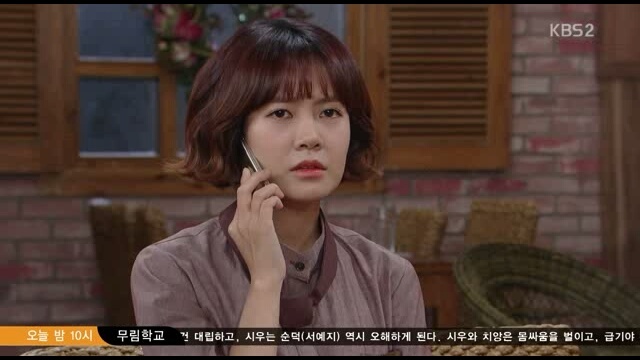 Heejung calls someone to tell the person that she will meet the person in the same place. But, she gets followed by Jindo…Heejung hands over a USB telling Kayoon that it’s a USB of the recording of Jindo as well as Hyunjoon’s company’s slush funds. Heejung explains that she’s handing it over to Kayoon for self-keeping as she’s going to turn herself in to test to see if Hyunjoon will come and protect her. Jindo is in the back but it’s unclear if he hears it all. Time for Heejung to meet with Jindo. Except he sends someone else to grab the bag of money instead of him and the police catch the not-so-innocent accomplish. The police tell Heejung to go home and she does. Luckily, she’s not alone. 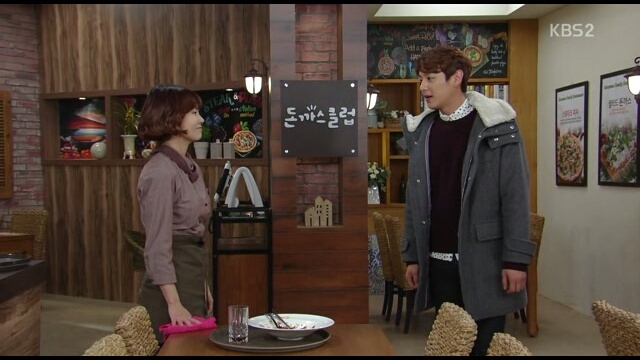 But Jindo goes to Kayoon’s restaurant and demands that she hands over the USB. Kayoon takes it out of the register but tosses it on teh ground to call the police. Jindo throws her to the side but Ki-Chan arrives and gets stabbed in Kayoon’s stead. He makes sure that Kayoon is alive before running out after Jindo. Ki-Chan manages to hold Jindo until the police arrive…Ki-Chan gets taken to the emergency room. Well that starts to wrap up some of our loose ends. We get to see that Dongsook and Mansoo get together. Additionally, looks like Ki-Chan will be forgiven by Kayoon’s family. After all, what says I love this girl more than getting stabbed on her behalf by a robber?! My only concern? I thought it took a whole year of marriage before Hyunjoon could legally sue for Minwoo becoming his “biological” child for purposes of the law. Maybe Heejung was too hasty. After all, if Heejung gets jailed, Hyunjoon might have to return Minwoo to Jingook who is currently Minwoo’s “biological dad” under the law. Additionally, we all know that Hyunjoon does not have a good case for suing for his parental rights when he’s already asked Heejung to get a divorce thanks to the nifty earlier episode where Hyunjoon’s lawyer explained the same. Wouldn’t that suggest that Hyunjoon has an incentive to keep Heejung out of jail so that he does not have to return Minwoo to Jingook? Just saying. Heejung also finds out that Hyunjoon knows…Time for her decide what to do. Hyunjoon sneers to his secretary that its weird how easy Heejung believes him when he’s just a little bit nice. The secretary asks if Heeding does not really love Hyunjoon but we don’t see whether he answers. Jingook yells back that he does not want to hear her explanations or apologies and goes into the back room. Kayo comes out instead and Heejung confesses her worries again. She notes that Jindo is back and wonders if Hyunjoon would protect her when the dirt hits the fan. She even muses that she kind of looks forward to seeing what would happen so that she can find out if Hyunjoon would also forgive her on the basis that she is Minwoo’s mother. Investors in Restaurant K come to the restaurant and interrupt the meeting. They identify themselves as investors and ask Kayoon if it is true that Restaurant K truly stole their recipe. Heejung confronts them and tells him that it’s all a lie; she also turns to warn Kayoon to stop using the media play or be prepared for a lawsuit for damages. Heejung goes back to report to Hyunjoon. He offers to deal with Jindo first but Heeding refuses on the grounds that it’s too dangerous for Hyunjoon to deal with Jindo directly. Instead, Heejung offers to create another slush fund to address the issue. Hyunjoon tells her not to get involved in such a thing again and Heeding walks away in gratitude. Afterwards, Hyunjoon muses about changing their katsu sauce but tells the secretary not to tell Heejung can suffer a little bit. Instead, they decide to go forward with the demolition of all of the other shops in the building with Dongsook and Kayoon to put pressure on Kayoon’s restaurant. At the same time, Jung-Eun drops by the restaurant to find Jingook drinking while staring at Minwoo’s ultrasound picture. 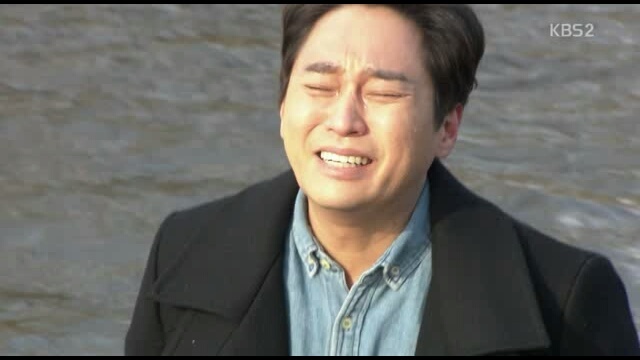 Jung-Dun tears into Jingook for not being able to go back to Heeding when he obviously only thinks about Minwoo. Jingook sighs and tells her and Mansoo the truth at Kayoon’s encouragement. So, Jung-Eun stalks straight to Heejung’s company and slaps her. Heeding glares back and tells Jung-Eun to keep her mouth shut or Heeding will kill her. Jung-Eun screams back that she will keep Heejung’s secret since Minwoo is Jingook’s son…However, she vows to show the truth on everything else that Heeding did. Jingook brings the materials home and tells Kayoon’s family. Jung-Eun also offers to help. He then calls Dalja to tell her that he’s canceling the divorce with Jung-Eun and will not return home until they sell the house and move into a different place. Before the end of the episode, Heejung meets with Jindo. She tells him that she can only bring another payout if Jindo promises that this will be the last time. Jindo asks who ordered Heejung to do this and is financing her. Heeding replies that Jindo saw him the other day and Jindo guesses that it’s Hyunjoon, which is all recorded. At the same time, the internal power play begins. Hyunjoon asks to use Heejung’s laptop. She silently goes into the kitchen but watches from the entrance to see how Hyunjoon look at her saved recordings before turning back to the internet explorer. He did not delete the recordings this time but doubt has been planted in Heejung’s mind. So different but so same…Jung-Eun and Heejung were so similar in this episode that it was scary. Even though both of the two girls are reacting in different ways to dissimilar circumstances, their actions screamed out that both of them have a huge blind spot when it comes to the man in their lives. Heejung is literally told by her little brother that Hyunjoon is out to get revenge on her but she goes asking Kayoon if Hyunjoon might not forgive her because she’s Minwoo’s mother…The most telling line was when Heejung mused out loud that she kind of wishes that Jindo would be caught so she can see how Hyunjoon reacts. At the same time, Jung-Eun turns from wanting a divorce to hating Heejung within minutes, all for manipulating Jingook. Jung-Eun is much better at judging Heejung and demanding that Heejung pay for her actions without expecting the same from Jingook for being stupid enough for Heejung’s machinations. On the side note, the male characters fell behind the female characters in this episode again. It was good to see that Jingook stayed firm in his decision to not seek revenge against Heejung for what she did to her but it felt like the male characters were only there to help the plot pitter on. Hopefully, the next episodes will shine a greater light on the male characters before the finale. We are beginning to race towards the finishing line. Secrets are coming out left and right! Will the underlying issues get resolved in time? Soon-Im finishes with the explanation that since Heejung married Hyunjoon, Hyunjoon is now family. She tells the two that she does not want to see family fighting and so the kids can make a decision… Stop fighting or break up. Kayoon and Ki-Chan discuss Soon-Im’s prosposal after she leaves. Kayoon agrees with Soon-Im but Ki-Chan does not see how their ending the fight will solve anything when Jingook’s still screwed over… They sigh and decide to leave it as a moot issue. But then Ki-Chan gets a call. Home shopping has decided to pull their broadcast due to pressure from YB Foods. Kayoon is ready to back off but Ki-Chan is not. Jingook goes home and tells his mom about Jung-Eun asking for a divorce. She sighs that it must be because of the kid. She turns to Jingook and proposes that they let this fight go since Minwoo can be much more spoiled if Hyunjoon raises Minwoo. Jingook breaks down and screams in response. Jung-Eun begins her fight by going back to the office and downloading the stuff that she had on home shopping. When she happily comes home, she finds Jingook there kneeling. He apologizes that he submitted their divorce papers; he never had a right to be their son-in-law. He confesses to taking the bribe and for being the reason that Kayoon began to fight back, which caused Hyunjoon to take away their shop each time. Poor Heejung. She comes home to find Minwoo ecstatic about his new car… He even has glow in the dark stars on his ceiling! She thanks Hyunjoon for being so nice to her son. 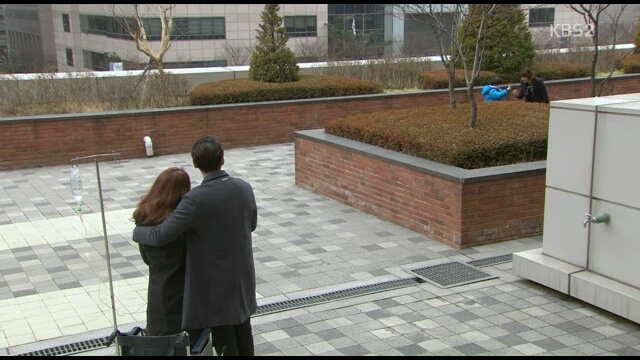 Hyunjoon drops by and hears that Kayoon did not take Soon-Im’s proposal. He runs into Jingook in the hallway, and Jingook takes Hyunjoon’s questions as condescending insults before going into the restaurant. Jingook confesses to almost killing Heejung but realizing that he cannot kill her. Then he tells Kayoon that he us considering leaving for Africa since everything would be best if he leaves. He also asks Kayoon to forgive Heejung for Minwoo’s sake. Kayoon realizes some thing is wrong and asks if Jingook knows. He confirms. He notes that he found out through Hyunjoon and sighs at how different Hyunjoon is from him…in the end, he asks Kayoon once more to stop fighting Heejung. At the same time, Hyunjoon offers to put Minwoo in an English school. Heejung asks him why he’s even marrying her. In response, Hyunjoon kisses her and pulls her back into the room. Kayoon calls Ki-Chan after Jingook leaves and tells him everything. They wonder if there’s no reason to fight anymore if Jingook has forgiven Heejung. Kayoon gets up and kisses Ki-Chan, telling him to give her their couple ring. The next day, Jung-Eun pours over the materials she kept from home shopping. 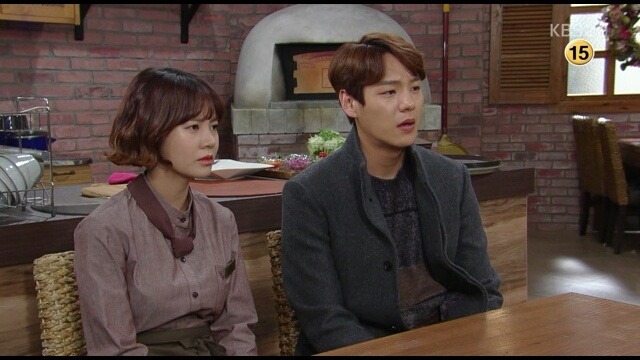 Kayoon tells Jung-Eun to let it go because Soon-Im promise to give them their restaurant if Kayoon stops fighting. Kayoon asks her father if it’s okay and he agrees that all he cares about is their happiness. Soon-Im calls Heejung and she tells Hyunjoon. Heejung confesses that she feels nervous because everything is going so well. But Hyunjoon tells her that she deserves to be happy too. Then Heejung gets a call from Jindo…She goes into her room to take the call and Hyunjoon listens in. Is he on her side or is he going to use this against her? At the same time, Dalja barges into Jung-Eun’s house and demands to know where Jingook is. The whole family looks blankly back at Dalja like the crazy woman that she is. Only Grandmama is able to talk; she reminds Dalja that Jingook made his decision for reasons he knows even if the others do not. Dalja falls to the ground crying while Mansoo sighs and goes into his room to avoid the crazy lady. Kayoon rushes to tell Ki-Chan. Kayoon offers to help fight Hyunjoon. But, Ki-Chan tells Kayoon that they need to stop as they cannot help each other. He tells her how his informant told him that Jindo is back in town. Once Jindo is caught, Heejung would be caught as well…It would not help her case that she is with Ki-Chan. Kayoon tears up as she understands that they are broken up again – they are family enemies since the buried problems will have to come back to life. Ki-Chan pulls out the couple rings and puts the box on the bench. He notes that they weren’t expensive and gets up to leave. Kayoon does not pick up the box as well… Instead the two part ways AGAIN. On the other hand, I felt that the final breakup scene between Kayoon and Ki-Chan was forced. Just because their families will become enemies again does not mean that they have to break up. Nothing has really changed since their families have always been enemies whether it was because of the Mansoo/Daeho situation or the Kayoon/Heejung situation. It felt more like the staff needed some kind of emotional tension as a last “hurrah!” on the Kayoon/Ki-Chan love line and decided that they will break up again. We can all breathe a sigh of relief because Jingook did not kill Heejung. Instead, he struggles to deal with this new information while Heejung and Hyunjoon race toward a life of normalcy. Jingook mutters that he cannot believe Heejung would play around with him and speeds toward Heejung. Heejung see him coming and screams while flying backwards. Fortunately, Jingook stops right before hitting Heejung. He steps out of the car and gasps out the question that he cannot believe Heejung would do such a thing… He repeats it before seeing Hyunjoon…. He finishes with the accusation that Heejung and Hyunjoon are too much for jailing him and trying to take away the building their restaurant us in. He yells that Hyunjoon should find another building before driving off. Meanwhile, Jingook goes crazy. He drives to the river and walks into it crying. But he gets spotted by nearby walkers who are then stressed by what looks like a suicide. At the same time, Ki-Chan tells Kayoon about how he set up everything for her to come out on home shopping. Kayoon looks shocked that Ki-Chan managed to do everything and get all approvals. She sighs that Mansoo would never approve of going back on home shopping. 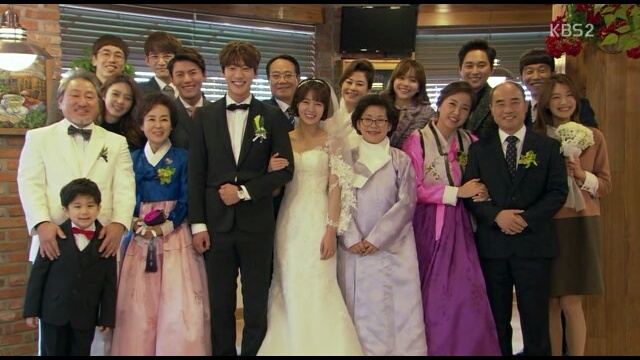 As to Heejung’s wedding, Hyunjoon tells his father that they already filed their marriage certificate. The CEO smiles that it’s better and declares they shouldn’t hold a wedding, which would just embarass him. Heejung frown but agrees that she finds another wedding unnecessary as well. Jingook is still in his car near the river when Minwoo calls. Minwoo asks Jingook for a car and Jingook tearfully promises to buy him one – assuming it’s a toy car. Hyunjoon and Heejung are then called into Soon-Im’s room. She asks them if they won’t give up on buying the building. Hyunjoon notes that they can stop if Kayoon and Ki-Chan would stop. She then gets picked up by Daeho because she’s moving out. On side note, Daeho is really cute and happy that Soon-Im moved in. He tries to touch her hand but she turns away. So, he turns the lights back on to drink soju with her instead. Sighing over soju, Daeho wonders about how life is unpredictable. He then confesses seeing Heejung’s blackbox, which showed that Heejung tried to hit Kayoon with her car. Soon-Im is horrified. Back at Heejung’s place, Minwoo declares that he wants to sleep alone from now on. Hyunjoon also finds that Heejung’s ring is no longer fitting and Heejung’s finger is bothering her…My drama radar is twitching that this is an ominous sign for Heejung. Jingook has the pleasure of seeing Hyunjoon also pick up Minwoo and give Minwoo the exact toy car that Jingook cannot afford. At the same time, Ki-Chan brings Soon-Im to Kayoon. Soon-Im sighs that she is really thankful that Kayoon helped Ki-Chan. But she sighs that it won’t work with Heejung. Turning to Kayoon, she explains that her last request to Kayoon is that Kayoon breaks up with Ki-Chan. Well that was unexpected. I didn’t expect Soon-Im to turn around and disapprove of Ki-Chan’s relationship after finding out that Heejung almost killed Kayoon. First, I was shocked speechless… It is an illogical development since Soon-Im should now be apologetic in addition to thankful. Then again, as a parent, Soon-Im might feel that Heejung cannot start a new life with such a big reminder in Kayoon. All Soon-Im and Daeho want is that their children live happy lives. However, it’s clear to Soon-Im that Heejung has a lot of vulnerabilities that Heejung hides with aggression. For example, Heejung hides her hurt heart and jealousy by hating on Kayoon. Kayoon basically reminds Heejung of everything that went wrong in her life. Soon-Im might think that Heejung’s resorting to violence was an unconscious reaction that resulted when Heejung could not control herself… Hence, it’s better for Ki-Chan to live broken hearted than to always keep Heejung from healing. Hopefully, the next episode will hold the answers. Did you hear that? That’s Heejung’s secret crashing out and everyone finding out about it! Back in the house, Minwoo is heartbroken when he finds out that Jingook left without saying goodbye. Heejung goes to tell her mother that Soon-Im only has to wait one year for Minwoo to go on Hyunjoon’s family register. Soon-Im answers that the importance is the truth and that she will tell Hyunjoon herself. 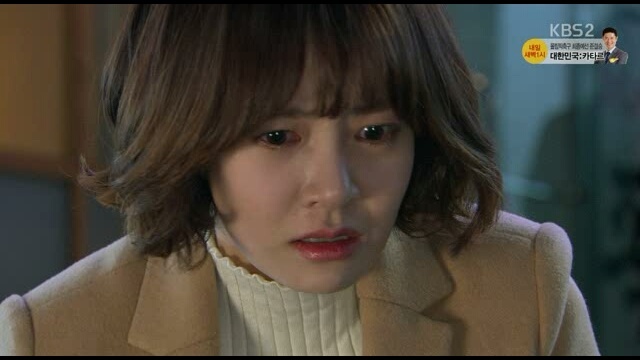 In response, Heejung begs for her mom to trust her. She promises to make Hyunjoon fall for her. Everyone watches the broadcast of Kayoon’s restaurant where Ki-Chan states that the sauce has been the same for twenty years. Then Kayoon tells Ki-Chan that she’s going to make Restaurant K pay for all that it did… Including buying the building to kick them out. Ki-Chan offers to give a suggestion but Kayoon tells him to stay out of the fight against his sister. 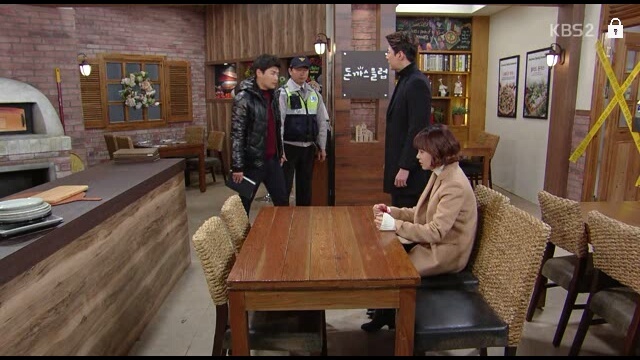 Making me even more nervous, Jingook brings Hyunjoon to Kayoon’s restaurant for another round. Jingook also calls Kayoon and calls her out but Kayoon refuses…Jingook continues to drink and tells Hyunjoon that Hyunjoon can marry Heejung but leave Minwoo. Hyunjoon answers that Minwoo is his son. Jingook refuses to believe it and Hyunjoon tells Jingook to check with the DNA. Hyunjoon tells Jingook that he’s going to get revenge on Heejung but Jingook is too far gone. Hyunjoon goes back home to Heejung and wonders if he should really live there. Heejung let’s Hyunjoon sleep on the couch. When he wakes up, Minwoo is ecstatic about his new friend and drags Hyunjoon to help him brush his teeth and join breakfast. Hyunjoon get what he always wanted – a warm family. He’s all smiles and tells Heejung that if marriage is like this, he wouldn’t mind married life. Petty secretary! So, Nari complains about how evil their company is for buying up the building in which both her mother and Kayoon have their restaurants just for the sake of revenge. The secretary does not apologize and just tasks Nari with getting Kayoon and Dongsook to sign the sales contract. She explains that construction is planned to start in threw months and the two stores are the only holdouts. Ki-Chan continues to play Daddy Long Legs and manages to get the prime time slot to sell Kayoon’s katsu. However, he gets called away because Daeho has called Hyunjoon to discuss wedding planning. Ki-Chan arrives and Young-Tae pulls Daeho away for deliveries. Ki-Chan demands to know why Hyunjoon wants to go through with the marriage and Hyunjoon answers that it’s because of his family. At the same time, Jung-Eun hands over divorce papers. Yay! Jingook just pleads with her not to play around. But, Jung-Eun holds firm and asks Jingook to agree to the divorce. Later, Ki-Chan drops by and tells Kayoon to go back on Home Shopping as he’s got approval. Kayoon tells him to stop fighting his family and Ki-Chan responds that Hyunjoon will never be his family. Then Ki-Chan remembers what Hyunjoon answered and freaks out that Hyunjoon might know the truth. Of course, at that moment, Jingook starts remembering the night before and Hyunjoon’s statement that Minwoo is his son… That the DNA report is in his desk. Jingook goes over to Hyunjoon’s desk and pulls out the report realizing Hyunjoon was not lying. He runs out shaking and sits in his car when he sees Heejung. Cue all flashbacks. 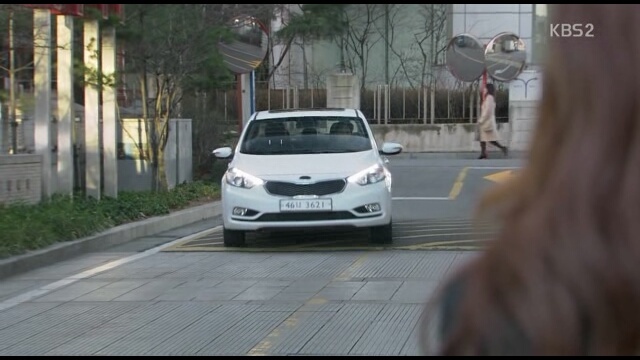 Jingook turns on his car and begins to speed up towards Heejung. She hears the car and sees it rushing toward her but freezes in shock, unable to move. There was so much action in this episode that the recap ended up being pretty short. It was just a quick half hour of the Heejung Secret Train crashing into the station FINALLY after over 95 episodes. Now, I feel like everyone is on equal footing but Hyunjoon still has a slight advantage since Heejung does not know that he knows. I hope that at she will assume that Jingook’s knowing has to mean that Hyunjoon knows as well. Otherwise, there’s a high chance that we fall back to Heejung vulnerable because she is obsessed with Hyunjoon but Hyunjoon not having the same limitation… This could result in Hyunjoon manipulating Heejung into falling for him harder and handing over Minwoo. Technically giving Hyunjoon rights over his biological son would be reasonable except for the fact that Hyunjoon or CEO Yoon might try to then take custody over Minwoo and kick Heejung out of his life. First off, Minwoo does not deserve to first lose the only dad he knows and then lose the only mother he knows and has. Secondly, unless the mother is actually harmful to the well-being of a child, I never agree to cutting a mother out of a child’s life. While Heejung has shown us that she has some anger issues, insecurity issues, and has no limits to what she will do to obtain her goals, most of her goals have stemmed from keeping Minwoo safe in her mind. Thus, I don’t think her actions arise to the point where she is a harmful influence in Minwoo’s life and I dearly hope that she does not lose the battle against Hyunjoon. As Kayoon’s restaurant starts to pick up, Hyunjoon begins to play the role of Heejung’s beau nicely. Ki-Chan goes to play with Minwoo do that Soon-Im can talk with Heejung alone. She tells Heejung to tell Hyunjoon the truth. But, Heejung responds that she cannot after all that Hyunjoon did to her. She leaves before her mom can press any further. Ki-Chan comes in next to tell Soon-Im that he cannot approve when Hyunjoon told Heejung to abort Minwoo in the first place. He adds that Hyunjoon still had not forgotten Kayoon and all parties know about it. Hyunjoon finds out that Heejung ran off because Dalja tried to take Minwoo away again. This time, he furiously rushes over to Dalja since he feels loyalty to Heejung now. He asks her why she’s taking out her anger on Heejung. Dalja asks in response whether he got Heejung pregnant or if she has anything else on Hyunjoon. Hyunjoon answers that he will take the child since protecting the child was a condition of the marriage. Dalja refuses to let him and Hyunjoon reminds Dalja that Jingook does not have the right to take care of Minwoo… Jingook cannot even pay monthly rent. He adds that Dalja should stop bothering Heejung and leaves. So, Dalja runs to Jingook and tells him to give up since Hyunjoon is now on Heejung’s side. Hyunjoon and his group hears about Kayoon’s broadcast. They decide that the only way to stop this is for the company to threaten to pull their ads. Hyunjoon tries by asking but the CEO is furious. The broadcasting network refused since the broadcast would be hit item of the under dog v. the big bad corporation. 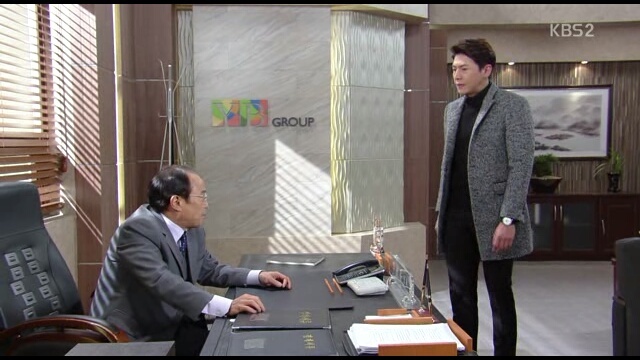 CEO Yoon demands that Hyunjoon stops Kayoon immediately. Hyunjoon goes to the restaurant to ask Kayoon to stop. 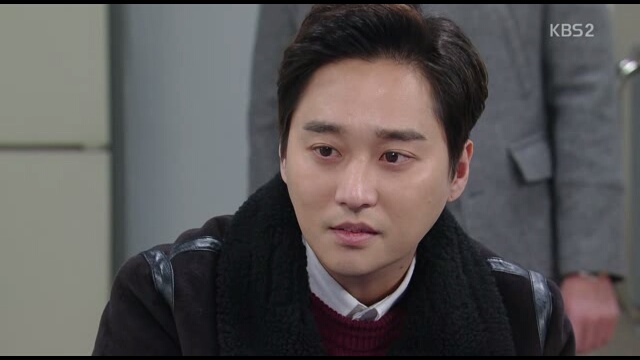 Kayoon answers that she will only if Hyunjoon drops the case against Jingook. 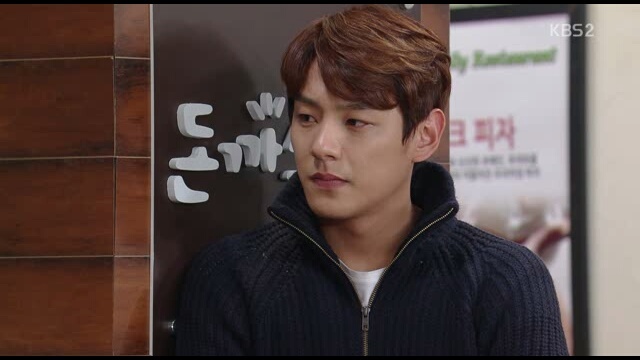 Hyunjoon agrees and notes before leaving that Kayoon should be careful or she will lose her new dream – the restaurant. Hyunjoon goes to tell Heejung that he let Jingook go free. He asks her one more time if she has anything she wants to confess. Heejung pretends that there is nothing and Hyunjoon let’s it go. Meanwhile, Kayoon gets three picky customers who ask her all about the sauce and cooking method…Kayoon and her family wonders what is going on… But we find out that it was Ki-Chan. Thanks to his condition, the home shopping producers went themselves to check out the katsu. Daeho then goes to tell Mansoo that he set Jingook free. He also asks Mansoo whether he should let Heejung marry Hyunjoon. Even cuter, Daeho laughs that they traded son-in-laws and he got the better son-in-law! So cute! At the same time, the CEO calls Hyunjoon and Heejung into his office. He agrees to approve of the marriage as long as Heejung signs a prenuptial agreement. Heejung has to agree that she won’t get anything if there is a divorce… And, only Hyunjoon’s sons can actually inherit. Heejung angrily snarls at Hyunjoon after the meeting. However, Hyunjoon answers that there is a way around it. After a year, he can adopt Minwoo and put Minwoo on his own family list so that Minwoo legally becomes the son of both Hyunjoon and Heejung. Heejung is convinced. Hyunjoon quickly goes to get a ring out of his desk and puts it on Heejung’s finger. He notes that they should legally get married first to let the clock start. They then announce it to the rest of the team. Heejung happily goes to her office to pet her ring when Hyunjoon tells the secretary his real plan. Hyunjoon hopes to lull Heejung into false sense of confidence. Heejung would work harder as the daughter-in-law of his family and Hyunjoon can start preparing blackmail materials against her. He also notes that he will kick her out when he adopts Minwoo since he does not need to forgive her if she never confesses. On the side, Jingook gets released and he runs straight to Heejung’s house despite Jung-Eun’s protests. Soon-Im watches Jingook silently feeling guilty now that she knows everything. She even prepares a meal for him and it’s clear that she’s barely keeping her tears in. Soon-Im apologizes to Jingook for everything. Jingook smiles that this is between Heejung and him only, Soon-Im has nothing to apologize for. Dun. Dun. Dun! The next crisis hits! Ki-Chan and Kayoon hear that YB Foods bought their building. They both know this means that Kayoon needs to move her restaurant. At the love triangle angle, Hyunjoon and Heejung go home together. They find Jingook at home and Hyunjoon orders that Jingook leaves. Hyunjoon explains that he is living with Heejung from now on so Jingook needs to leave. Heejung looks surprised at first but happily agrees that this is the only way with how crazy Dalja is. Jingook stalks off and Hyunjoon runs out after him. Hyunjoon asks Jingook to go grab a drink with him. Omo! Is he going to tell Jingook everything? My money is on that he will not. That would make the plot development too fast for a drama even if it’s a daily drama! On the side, the angry Jingook is more fun to watch than the weakling Jingook. He has more of a presence which makes it better when he and Hyunjoon share the screen. It would be nice if the drama can keep up this tension without going bat crazy makjang more than it already is. Right now seems like the right amount of tension and suspense! I can’t wait to see the next episode (and draft a recap) because I want to see what happens! Additionally, since the crazy makjang elements were established early on, I don’t feel apathetic because of how crazy the current plot twist is! All is well indeed! Jingook goes to jail while Hyunjoon goes to ask Daeho for his permission to marry Heejung. Jingook does not understand the situation and tries to run out to Heejung’s office. So, the police stop him and threaten to put him in handcuffs. All Jingook does is cry that he’s not going to give up this easily. The smaller dogs cry loudest. The secretary reports to Hyunjoon and he wonders that it feels weird to be doing this to someone who raised his own son. Kayoon arrives but before she can say anything, Heejung arrives. Heejung asks if Kayoon is trying to tell Hyunjoon like she did when Ki-Chan almost died. Kayoon tells Heejung that she will not tell anyone but Heejung should at least tell Jingook. Heejung replies that she cannot tell Jingook since he would tell Hyunjoon and his mother…Kayoon does state that she will prove that Jingooks words were not lies. The police officer tells Jingook that he should not live the way he does…having a good degree but not having a job…having been under investigation for bribery and then getting an apartment out of Hyunjoon after blackmailing him so much. The secretary comes and offers to drop the case if Jingook uploads an apology stating that everything was a lie. Jingook reads it and rips it off. He notes that he will be set free after 48 hours before the trial…even if he’s jailed, it cannot be long for defamation. The secretary reminds him that there might be a civil case afterwards. Jingook snarls that Hyunjoon can take the apartment away again if he wants. Hyunjoon just smiles haphazardly and the family gets ready to eat. But, Ki-Chan hears the news and runs home. He demands to know why Hyunjoon arrested Jingook. 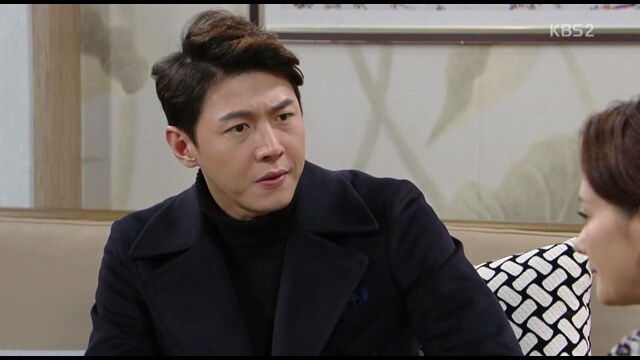 Daeho hears the news and orders that they cancel the case immediately. He tells Hyunjoon that Hyunjoon does not know Jingook…Even though Jingook seems like he has nothing, he took care of Heejung and her baby when Daeho was in jail. Jingook then called off his engagement and married Heejung, helped Heejung get a degree and also raised Minwoo properly. Daeho notes that they can continue this meeting after Hyunjoon and Heejung set Jingook free. Jingook finishes some more questioning and gets to use the phone. He calls Kayoon and notes how frustrated he is. Kayoon hands the phone over to Jung-Eun and he tells her that he’s getting punished for being bad to her…(Which he is.) He tells Jung-Eun that he is fine and will see her soon… He then goes into the holding cell and thinks about everything that has happened with Heejung. The village idiot Jung-Eun goes home to the witch Dalja and finds her asleep in front of the television…Grandmama also hears that Jingook made another mistake and grumbles that she does not even want to hear it. She goes in. Dalja wakes up and snipingly asks Jung-Eun if she was happy to go home… Of course, who wouldn’t be happy after not having to deal with you? Luckily, she does not wait for an answer. Jung-Eun asks Dalja to convince Jingook against continuing with the legal fight against Heejung as he cannot win against Heejung. Dalja does not understand and only rails harder when she hears that Jingook is in jail again. Meanwhile, Hyunjoon and Heejung put Minwoo in bed. He sighs that he feels like he did something he should not have done back in the past. He asks Heejung if there is anything she wants to tell him. Heejung just tells him to leave since it’s getting late. Hyunjoon shows a little bit of vulnerability as he asks Heejung if this was her only way…What would she have done if Jingook also turned against her. Heejung looks up in shock and asks what Hyunjoon is thinking about. Hyunjoon does not clarify and agrees to leave. Jingook’s imprisonment forces Kayoon to go on the offense. She agrees to do the broadcast and they film the next day. Ki-Chan shows up to deliver the meat when the reporter recognizes him as the shrimp guy. She starts to ask him questions and Ki-Chan heartily answers that Kayoon’s sauce is the same as Mansoo’s. He even adds that the sauce has been the same for over 25 years; he tasted it when he was 9 at Mansoo’s small restaurants. The film crew leaves, which gives Ki-Chan and Kayoon some time together. Ki-Chan sighs that he’s most worried about Minwoo since he believes Jingook is Minwoo’s father…They can’t just tell Minwoo all of a sudden that Jingook was never his father; it would crush the child. Kayoon gets a warning from Jung-Eun that Dalja is planning on taking Minwoo back. Ki-Chan rushes off and even Heejung is called. Luckily Minwoo and Soon-Im are not home by the time that Heejung and Dalja arrive. Dalja threatens to sue but Heejung sneers back that even if there are two suits the suits are of different caliber. Dalja seems to give up since Minwoo is not in the house and Ki-Chan arrives. Dalja falters out when Soon-Im comes home with Minwoo. Soon-Im quickly holds Minwoo from going out and goes home only after seeing Dalja leave. However, the children don’t hear her coming in and she easily overhears them fighting. She hears Ki-Chan tell Heejung to come clean and Heejung yelling back that it’s only right for her to marry Hyunjoon since Hyunjoon is Minwoo’s biological father. Soon-Im loses her grip on the door and falls near the couch sobbing in shock. And now Soon-Im knows. The question is will she tell Daeho? When will Jingook and/or Dalja find out? Returning to today’s episode, another good episode carried along by a strong subplot. I loved how Daeho turned out to be Jingook’s biggest supporter – he basically put Hyunjoon’s visit on hold until Jingook is released. This was great on many folds since that means Jingook won over Hyunjoon (regardless of Hyunjoon’s status). Additionally, this shows that Daeho may be pretty straight forward but he’s a great judge of character. He could have let Heejung push him into ignoring Ki-Chan who is the younger child. However, Daeho paused the meeting (and the wedding preparations) because he did not want to ignore Ki-Chan’s accusation that Hyunjoon always pretends to be innocent when things hit the fan. By conditioning the rest of the meeting on Jingook’s freedom, Daeho has made it clear he’s not going to stand for Hyunjoon’s/Heejung’s antics. On a side note, as much as I loved Daeho being the trustworthy and reasonable dad-figure. I loved the scene with the police officer where the officer basically called Jingook out for being the idiot that he is. About time! Jung-Eun/Jingook (Dalja)… Basically, unless something happens with Dalja to change her into a less insufferable mother-in-law, I will not be convinced that Jung-Eun is better of being divorced.